The faculty of human language is often equated with “a system of communication,” where meaning (semantics) is more important than form (syntax). It is true that language is used for communication, but the notion of “language as the primary function of communication” misses the fact that language is a computational cognitive mechanism (syntax) neurally implemented in the brain, which yields hierarchical syntactic structures. From this biological perspective, human language syntax underlies the production and comprehension of speech in communicative contexts. 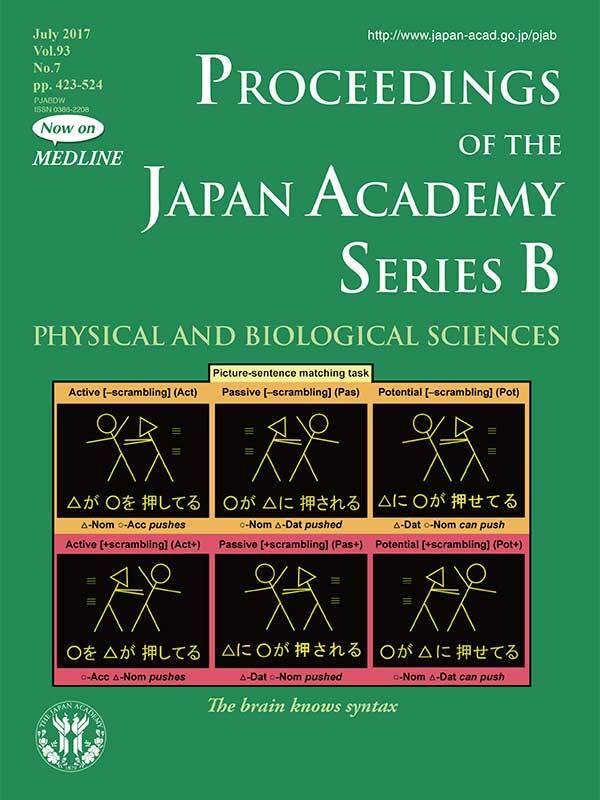 Using functional magnetic resonance imaging (fMRI) with a picture-sentence matching paradigm (see the cover illustration), Tanaka et al. (pp. 511-522 in this issue) provided neural evidence that syntax is selectively localized in the left frontal cortex, strengthening their previous proposal that Broca’s area subserves the core computational operation of syntax. In the experiment, six types of stimuli were used: active, passive, potential sentences and their scrambled counterparts. Case particles (i.e., ga, o, ni) in Japanese encode the semantic information that who does what, thereby allowing free word order via scrambling and playing an important role in semantic processing. The results reported here, however, demonstrate that the left frontal cortex responded more strongly to scrambled passive sentences and potential sentences (scrambled or unscrambled), than unscrambled passive sentences and active sentences (scrambled or unscrambled), which cannot be explained by semantic factors. This research clearly shows that syntax is “the basic property” of language, suggesting that word order (externalization) is an ancillary process.